Ms. Aishah Baig, our Preschool Teacher joined Al Fatih Academy 7 years ago. Prior to that she and her family resided in Chicago. Ms. Aishah is a native of Long Beach NY. She holds a Bachelor's Degree in History and Education and has always had a passion for teaching. She looks forward to helping each new student learn through exploration and play. In her spare time, Ms. Aishah enjoys reading, going out with friends, cooking, hosting and spending time with family. 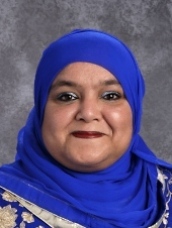 She has four children, including two Al Fatih graduates and one current middle schooler.